The iPhone 6 has an amazing camera A Quick Start Guide to the iPhone Camera A Quick Start Guide to the iPhone Camera The iPhone is still the most popular point-and-shoot camera on the planet, but many users still aren't away of all that the camera can do. Here's what you need to know. Read More . The 6s and 6s Plus are even better, but you’ve read our iPhone 6s review iPhone 6 Plus Review and Giveaway iPhone 6 Plus Review and Giveaway The 5.5-inch iPhone 6 Plus is Apple's latest and perhaps strangest addition to its range of tablets and smartphones. Read More so you already knew that. With 12-megapixel images, 4k video, and live photos — not to mention all of your photo apps Take Beautiful Photos, Fast: The Quickest iPhone Camera Apps Take Beautiful Photos, Fast: The Quickest iPhone Camera Apps The iPhone's camera app has certainly come a long way over the years, but there are several third-party camera apps that are faster to use when you're in a hurry. Read More , music, and the operating system itself — you’re bound to run out of space sooner or later. If you have the 16GB iPhone, prepare to say goodbye sooner than later. Fear not! I come with the solution to your photo storage woes. A new app, called IceCream [No Longer Available], aims to ease your photo storage concerns. The clever trick utilized by IceCream to save you space is all in the way you store your images. 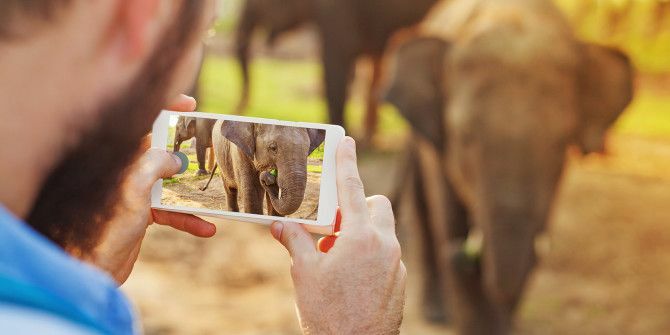 Rather than letting full resolution images reside on the hard drive, IceCream saves a low resolution image to your phone while providing single tap uploading of the full-sized version to the cloud. Pretty nifty, right? The app is available for the iPhone and iPad, but we’d never condone using the iPad as a camera. Seriously, don’t be that guy. Do you have any other iOS storage tricks to share? Sound off in the comments below, or feel free to complain about Apple needing to finally kill the 16GB model. I’m here to listen. Explore more about: iPhoto, Photo Album, Smartphone Photography.